There are few things more frustrating in the practice of law than having to tell an injured client and her family that there is not enough insurance to pay for all of the medical bills and lost wages. Purchasing uninsured motorist coverage is a smart way to protect yourself from that devastating possibility. 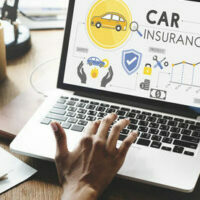 It is widely recognized that at least 1 out of every 6 drivers in the United States is currently uninsured – meaning they don’t carry car insurance. This is especially startling considering that an accident with an uninsured or underinsured driver can result in significant costs that aren’t covered by a basic auto liability insurance policy. The end result is that you could get stuck footing a very large bill for a crash that wasn’t even your fault. Typically, when you’re in an accident and the other driver is at fault, his or her auto liability coverage would help pay for your medical bills or repairs to your car. But if the at-fault driver doesn’t have car insurance, you may have to pay out of your own pocket for those expenses. That’s where uninsured motorist coverage may help. Uninsured motorist coverage is part of a car insurance policy that helps pay for your medical bills or car repairs if you’re hit by a driver who doesn’t have enough car insurance or who has no insurance at all. * What Does Uninsured Motorist Insurance Typically Cover? Medical expenses (past and future). The Matassini Law Firm, P.A., a Tampa auto accident law firm, encourages you to get smart about your car insurance and consider adding Uninsured Auto insurance to your policy. It’s usually a pretty affordable option, and could save you money, time, and stress if you’re ever hit by an uninsured, negligent driver. Don’t become a statistic. Protect your family today with increased auto insurance coverage and sleep safer at night. Visit us at www.matassinilaw.com for more information regarding auto accidents and personal injury law. Since 1976, The Matassini Law Firm, P.A. has been protecting victims of auto negligence and personal injury. Let our family help yours!